Product prices and availability are accurate as of 2019-04-10 06:42:11 EDT and are subject to change. Any price and availability information displayed on http://www.amazon.com/ at the time of purchase will apply to the purchase of this product. 360° ROTATING PLUG: The Nekteck Rotational Extension Cord has a 360° rotating flat plug to ensure the cable is pointed in the right direction without making unnecessary turns! It makes it easier for the furniture to be pushed against the wall without worrying about the extension cord being damaged. 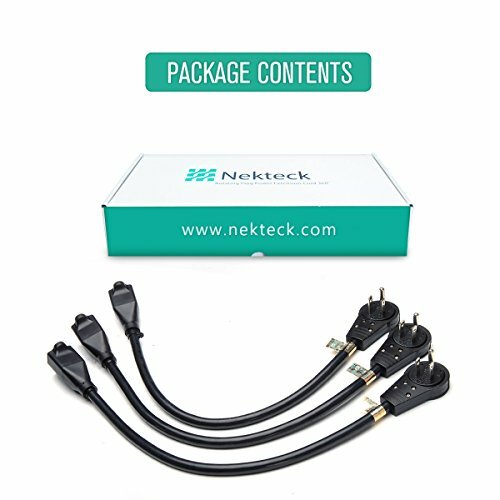 UNIQUE AND SPACE-SAVING DESIGN: Make your installation as clean and professional as possible with the Nekteck Extension Cords! It's perfect when installing a flat panel TV on a wall, or placing a desk or piece of furniture close to a wall. 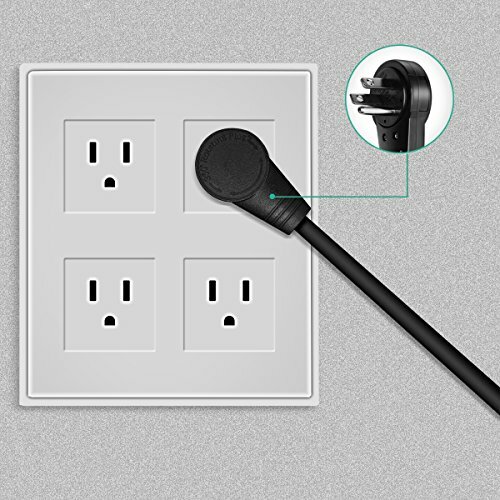 When used on a standard duplex outlet, the plug can be angled to allow access to the second outlet. What a smart design! 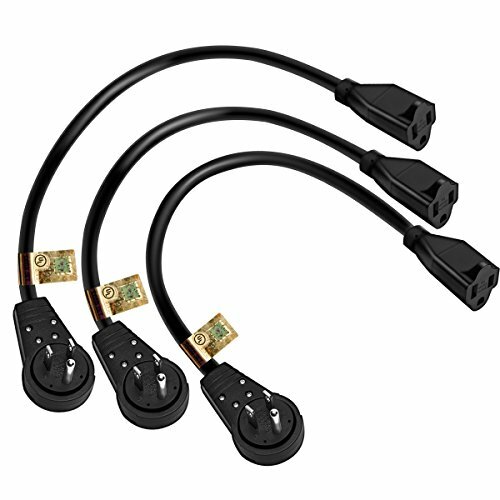 RIGHT LENGTH FOR YOUR INSTALLS: Custom length power cords work great and look awesome when building racks. 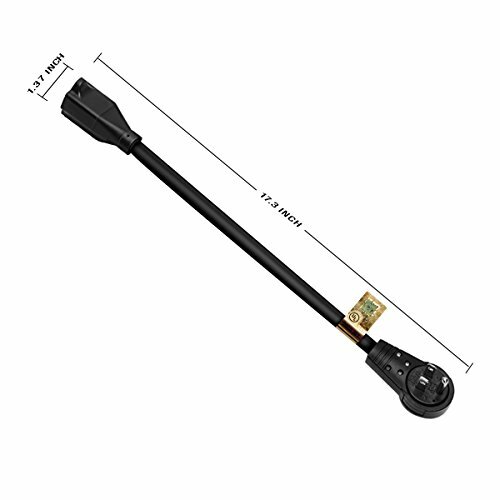 This extension cord measures 1 foot which is ideal when working with slim mounts where space for extra cable bulk is limited. 3-PACK VALUE PACK: It's not just 1 but 3 extension cords in one pack for multiple usage! 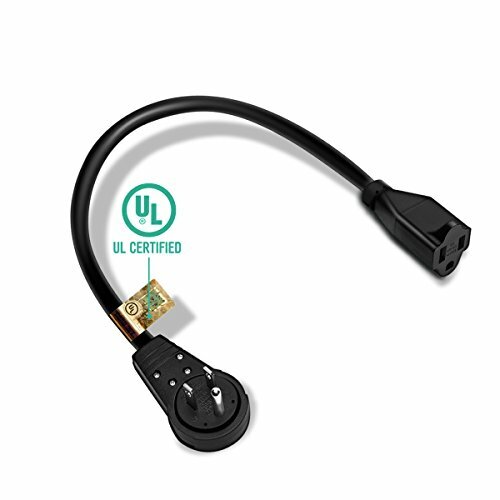 UL CERTIFIED: The Nekteck Extension Cord is UL Certified. This ensures that it meets the highest quality and all safety standard.